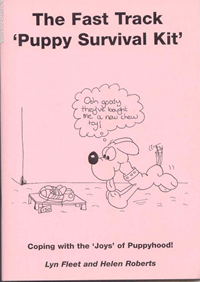 In these booklets Lyn has written in her relaxed and humerous style must have information on raising a puppy in your home with the least amount of anxiety or confrontation. 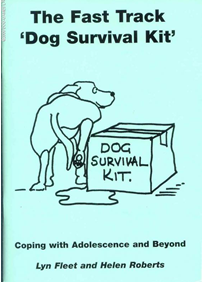 Also practical advice that helps guide you through the tricky stage of adolescence with your dogs development. The information passed on in these booklets comes from years of experience, both living with her own dogs and more importantly helping clients cope with that happy but fraught time that is their dog's childhood and adolescence. Lyn hopes that, by reading these booklets and putting her advice into practice, she can help you give your pet the best possible start in life. To order your copy of this invaluable booklet click on the button below. To order your copy of this invaluable booklet click on the options below. Only £6.00 per copy. Bulk discounts are available using the dropdown list below.